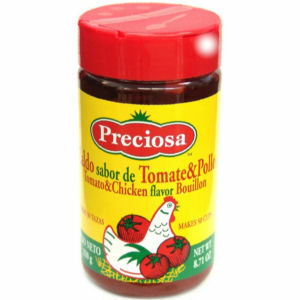 Preciosa chicken tomato flavor bouillon granulated comes in an attractive jar with an easy to pour lid that does not require the lid to be opened, therefore keeping the product clean and fresh. This extremely tasty flavor enhancer is great for soups and for adding zest to your meals. Packed with great care in Spain.